As a part of ISA project students of class VI-IX of SVIS, Sec-18 Dwarka participated in Inter House Wall Magazine Competition on the topic – ‘How We Govern Ourselves’. Students made a beautiful and informative wall magazine in which they depicted political systems of 12 different countries. Through this activity students became acquainted with various forms of governance and their features. As a part of ongoing ISA project, a wall magazine competition was organized for the students of Class VI-IX on the topic “How We Govern Ourselves”. Informative and capacious Wall Magazine were displayed depicting the political system of 12 different countries across the globe viz China, UK, US, India, Pakistan etc. 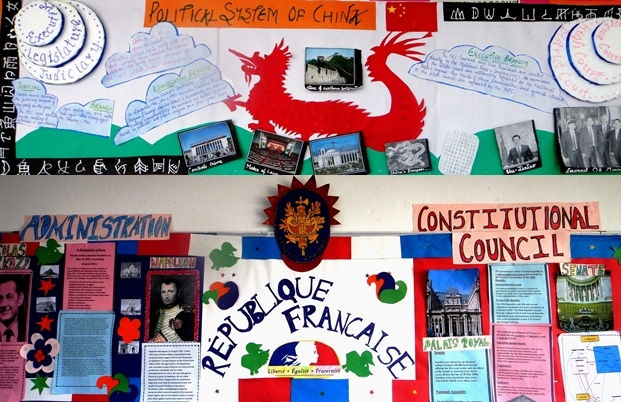 The contest provided the students with an insight to the political system, thereby making the world a global village. Preserve and I shall flourish. . Ignore and I shall perish. . . The students of class IX got an opportunity to visit the Aravali Bio-Diversity Park. It was their rendezvous with nature comprising grasslands, fruit yielding species, medicinal plants, native flora and fauna. The students were also shown a section of endangered plants which are being conserved. A conservatory of butterflies and migratory birds caught the attention of the students. Some commonly seen birds were rose ringed parakeets baskets, doves etc. The area was well-maintained and catered to different species in different season. The visit aided the students to learn and understand the environment better.